In a press release, Section 23 has revealed some of their upcoming releases. Six titles are set to be released in July and include series like Love and Lies and Long Riders. You can take a look at the series and their descriptions below. 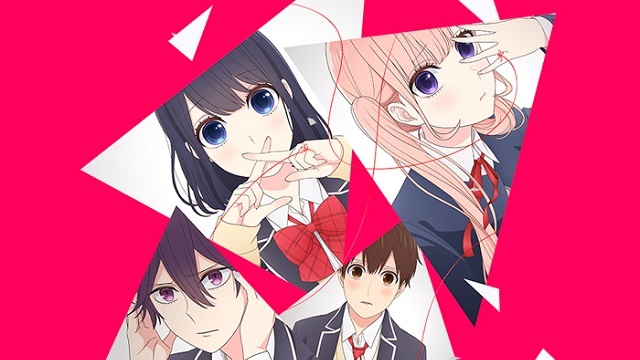 SYNOPSIS: Tamaki’s really excited about going to high school, but she’s not sure what kind of club she wants to join… until she meets three girls who are making their own computer games! Remembering how she loved making board games when she was little, Tamaki takes the plunge and joins the group as their new artist. Now she, programmer Shiina, writer Ayame and composer Kayo are in a frantic race to finish their game in time to show at the big “doujin” conventions. Meeting their deadlines won’t be easy, especially since Tamaki has to learn on the job and Aya keeps getting distracted writing steamy love scenes. But where there’s a will there’s a way, and with the help of a bunch of talented friends, they just might be able to make it in time to create the MAGIC OF STELLA! SYNOPSIS: It’s an old story: Boy loves girl. Girl admits her love for Boy. And then the government says, “No, you have to marry THIS other girl instead.” Because, in the world where high school student Yukari Nejima lives, the government decides who you marry and the feelings of the parties involved don’t matter. So while Yukari loves his classmate Misaki and she feels the same way, their other classmate Ririna is going to be his mate! Or is she? There’s an unexpected turn when Ririna indicates that she’s not against Yukari and Misaki being a couple despite their impending marriage and things get even more convoluted when Ririna finds herself attracted to both of them! Get ready for the ultimate case of unwanted government interference as everyone gets caught up in the romantic bureaucracy of LOVE AND LIES! SYNOPSIS: Life hasn’t been easy for young Tianjing since his mother passed away. Forced to leave the city and move to the grasslands of Tibet where his father is the only doctor for a remote community, Tianjing finds himself becoming even more isolated as he works the lonely job of a shepherd. It’s a dangerous task as well. Wolves, packs of wild dogs and other animals prowl the countryside… something that Tianjing discovers all too soon. Fortunately, he also finds a protector and friend in a stray golden mastiff that comes to his aide. When a new menace comes to terrorize the community, both human and canine will have to protect each other. Standing against the savagery of nature and the cruelty of men, this is the story of a boy and his TIBETAN DOG. SYNOPSIS: Ami’s always been small, a little clumsy and unsure of herself, unlike her more athletic friend Aoi. But when she sees someone using a folding bicycle on the way home from University, she realizes that the compact bike might be a perfect fit for her. Plus it’s really, really cute. Before you know it, Ami’s bought her own bicycle and she and Aoi are going on biking trips together! Suddenly Ami’s world is so much bigger as she and Aoi meet a whole new group of friends who share their love of this sport, and the thrill of competing in long distance cycling events. Join in the fun and share in the adventure as a group of young women discover the joy of hitting the streets and touring Japan under their own power in LONG RIDERS! SYNOPSIS: Mysterious invaders have attacked the Earth! As the Irousu roam the conquered lands, mankind has been driven back, but there’s one last weapon that may still turn the tide: super-powered schoolgirls! At schools like the Shinjugamine Girls Academy, elite classes of Star Guardians alternate between regular schoolwork and learning to kick Irousu behind. It’s a duty that the members of the Shinjugamine Hoshimori force, like freshman Miki Hoshitsuki, take seriously, but as they’re basically normal girls who just happen to get their powers from a magic tree, there are normal life issues they have to contend with as well. With the arrival of their latest mysterious recruit, however, things are about to get deadly serious. Their final exam is about to begin and if they fail, the whole world is doomed in BATTLE GIRL HIGH SCHOOL! SYNOPSIS: Pia Carrot #2 might be the second Pia Carrot restaurant numerically, but they’ve got ambitions to be the best. That means great food, great service and the most beautiful waitresses. For Kouji, who’s looking for a job where he can meet lots of attractive girls quickly, it’s the perfect place to work. Unfortunately, things get up close and personal even more quickly than expected when he collides with Azusa on the way to apply and ends up with a handful of her… well, suffice it to say that she’s NOT happy. It’s an instant case of hate at first sight that only becomes more intense when they end up working together… or is this mutual dislike really the start of something else? Something’s cooking and it’s not just their tempers in Welcome to Pia Carrot 2! DX!